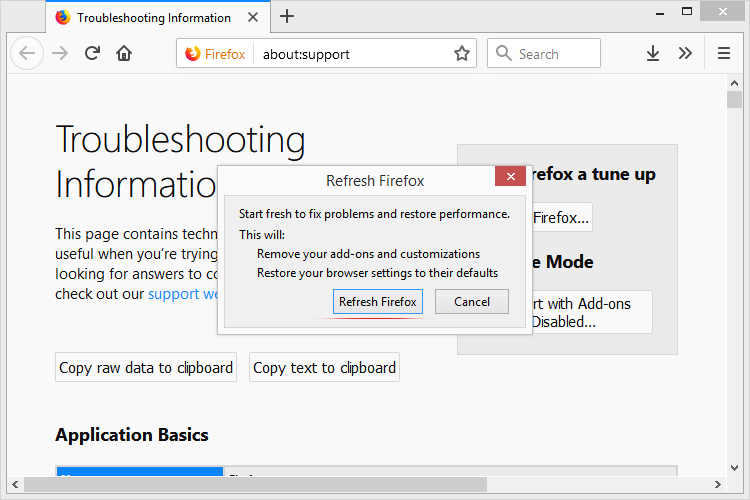 Popup alerts titled Win Erx03 in a web browser are elements of an ongoing support scam that distributes unwanted software, so here’s how to remove the virus. 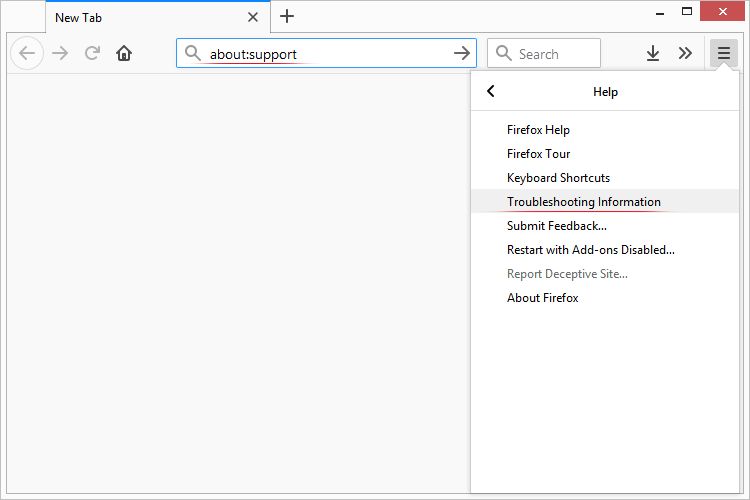 Win Erx03 is a cybercriminals-coined term that designates a massive tech support scam campaign targeting numerous Windows users around the world. The idea is to scare a victim into believing their operating system is damaged and system files are risk. This deception, in its turn, is supposed to encourage the user to apply a software “update” that’s nothing but malware in disguise. Such a technique isn’t new – as a matter of fact, there are numerous concurrent frauds in the wild that simply use a different wording and intimidation tactics but are all based on a similar underlying principle. It all comes down to a virus that hijacks one’s web browser and iteratively triggers a redirect script. 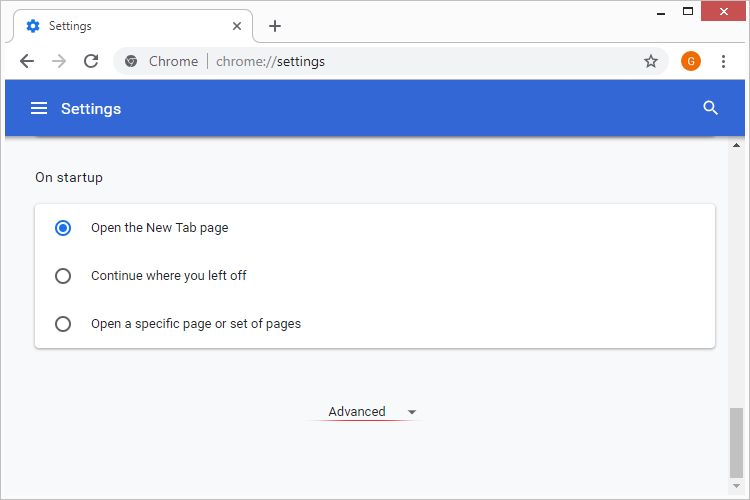 As a result, the victim’s web traffic will be repeatedly forwarded to a fake alert page titled “Win Erx03”, which imitates the Microsoft Windows logo and is programmed to display intrusive popups until the nefarious goal is achieved. 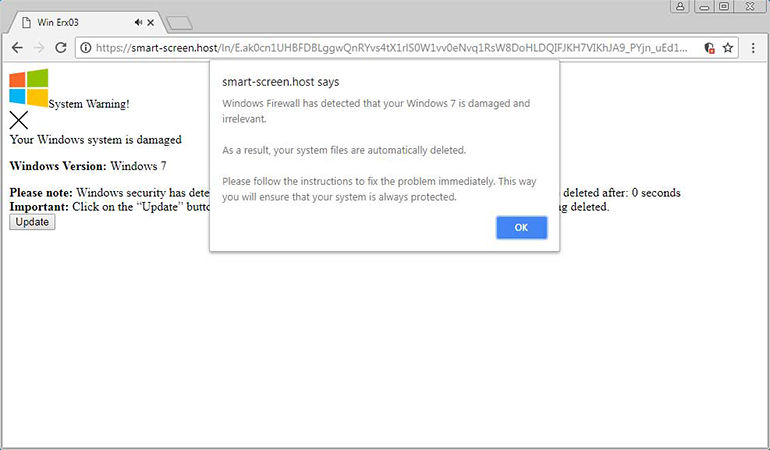 One of the common ways of getting infected with the Win Erx03 pop-up virus is to visit a malicious or compromised web page that appears to be harmless on the outside but hosts a malicious drive-by download doing its job behind the user’s back. Another contamination method has to do with software bundling, where the wicked entity sneaks into the computer as part of a compound installation logic. 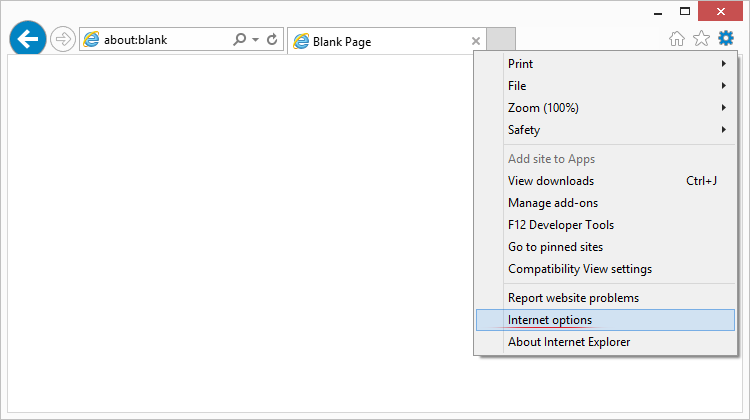 One way or another, once the e-pest finds itself inside a new host it instantly skews browser settings. 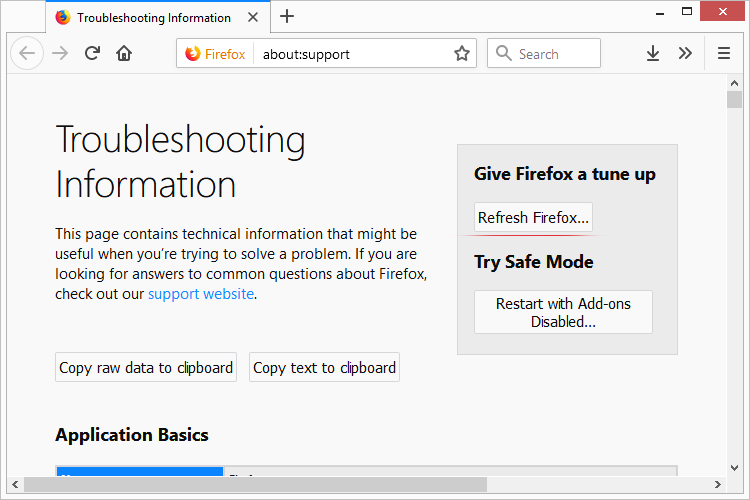 Be advised that it supports Chrome, Firefox, IE, and Edge alike, so there is no such thing as an immune browser when it comes to this attack. Windows Firewall has detected that your Windows is damaged and irrelevant. As a result, your system files are automatically deleted. Please follow the instructions to fix the problem immediately. This way you will ensure that your system is always protected. Your Windows system is damaged. Please, pay attention: Your version of software is damaged and obsolete. As a result, all system files are automatically deleted. Important: Click on the “Update” button to install the newest software to scan and protect your files from being deleted. One of the most annoying things about this predicament is that no matter how hard you may try to close the nag screens, new ones will pop up that keep pressuring you to run the pseudo update. To add insult to injury, the Win Erx03 virus will play a high pitch noise while you are on that page. It really gets on victims’ nerves and pretty much coerces some of them to follow the crooks’ recommendations. What’s the whole point of this, though? Contrary to many other scams, there is no phone number here to call “toll free”, only to be duped into paying for a remote “fix”. The adversaries’ objective is different in this scenario. 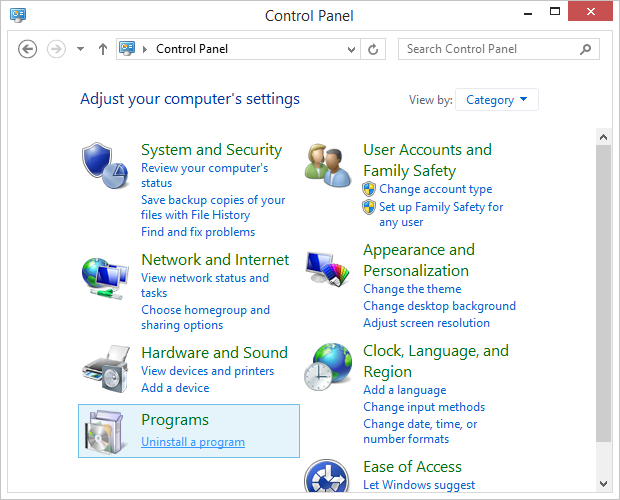 They are pushing a PUP (potentially unwanted program) known as OneSafe PC Cleaner this way. Although the payload may be different, this is a totally disgusting promotion technique whatsoever. 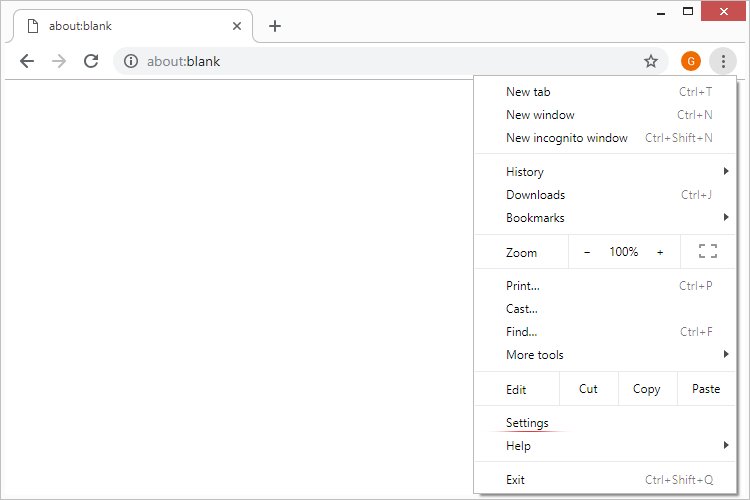 In summary, if you are experiencing browser redirects to the Win Erx03 page that says your Windows isn’t working right and important data is being deleted, do not fall for the scam and refrain from downloading anything there. 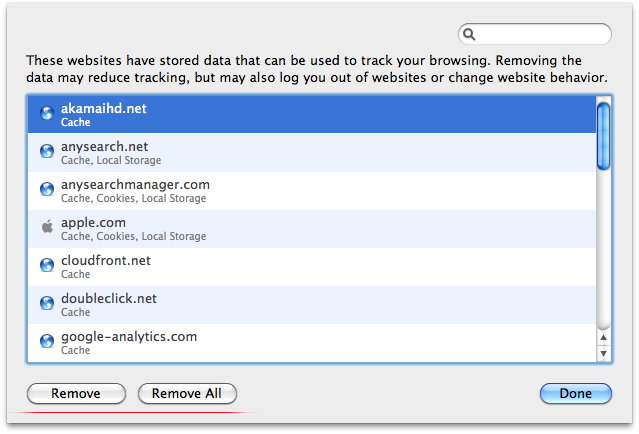 The misbehaving item is actually a low-severity browser infection that can be removed using the steps below. 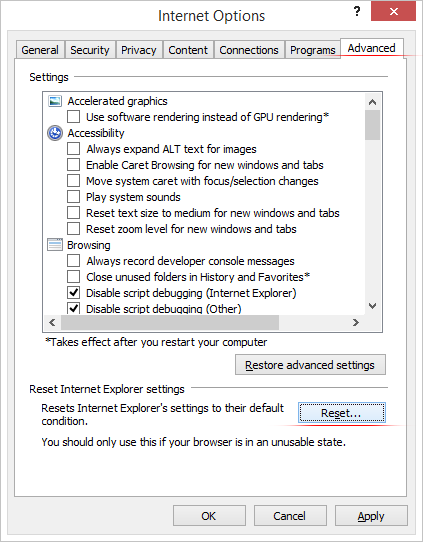 Keep in mind that reverting to normal browser settings is required after the Win Erx03 virus has been eradicated. • To facilitate the process of locating the threat, sort the programs list by date to get the latest ones displayed at the very top. 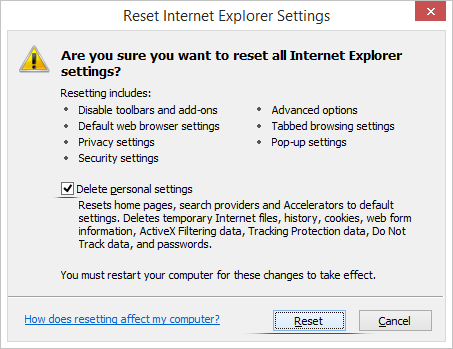 Find a suspicious or clearly malicious entry under the Name column, click Uninstall and follow further directions to get the removal done. 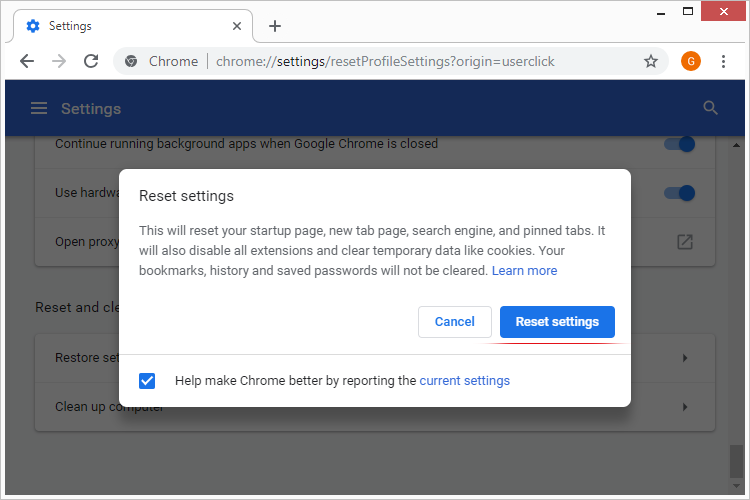 In the circumstances of a complex browser hijack like this, executing a reset makes the most sense despite a few obvious downsides. 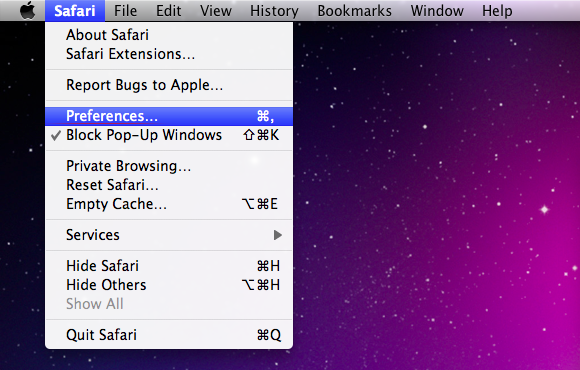 Customizations such as saved passwords, bookmarked pages, etc. 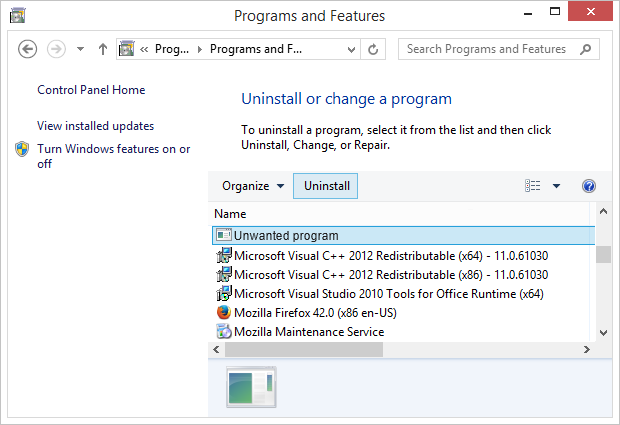 will be gone, but so will all the changes made by the potentially unwanted program. 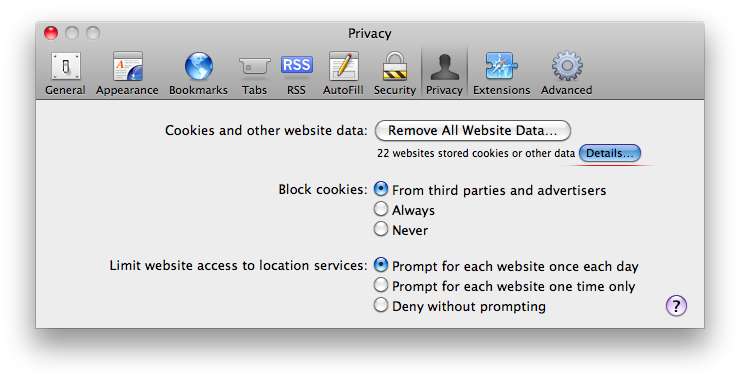 The instructions below address the workflow for the web browsers most targeted by this virus. • Reboot the machine to fully implement the fix. • A dialog will appear, asking you to validate your choice. Click the Remove Now button if you are sure. 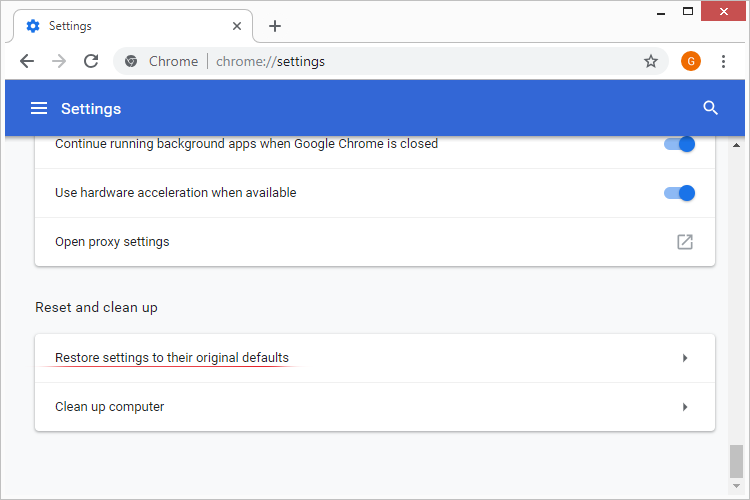 Be advised this will log you out of online services and undo personalized web browser settings such as saved passwords, etc. • Click the Done button to confirm and exit. 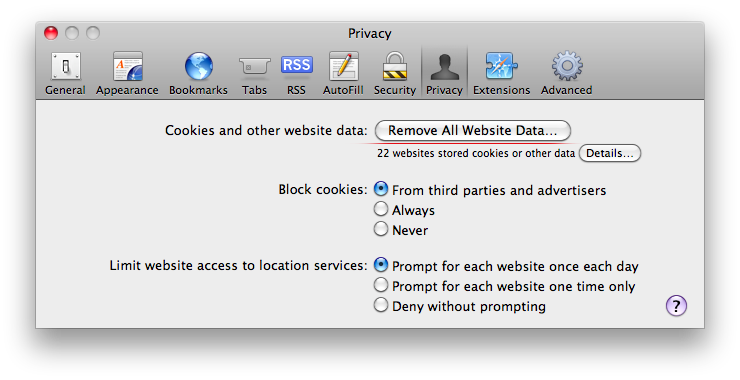 You can also select the Remove All option to remove all data stored by the listed websites.